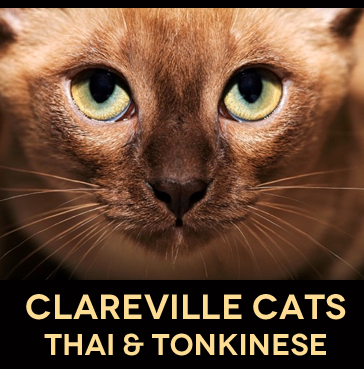 Clareville Cats is a private breeder of home-reared Thai and Tonkinese cats, situated in Clareville, on Sydney's Northern Beaches. All Clareville kittens are vaccinated, wormed, chipped and checked by a vet, and come with a WNCA Pedigree. Clareville kittens and their mothers live inside our house and are treated as pets. Tonkinese have short hair and do not require grooming. 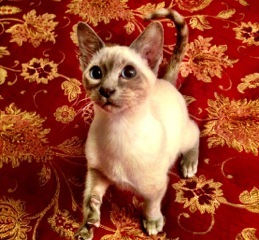 Tonkinese have great personalities and many owners say they behave more like dogs than cats. They have no known genetic faults. 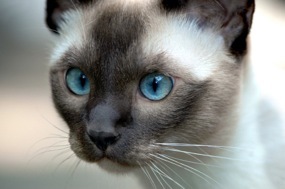 Tonkinese 'talk' to their owners and will ride around on their owner's shoulders, if allowed.